When it comes to replacing lost teeth, dental implants are the most effective method. They give you back 100% of your chewing power, which means you can eat whatever you want with dental implants, in exactly the way you did before you lost your teeth. No having to cut up apples or meat; you can just bite right in. Also, because dental implants are fixed into your jawbone, there’s no embarrassing wobble to worry about. We can fit your dental implants under local anaesthetic because there are fewer nerves in the jawbone to transmit pain to the brain. You can also have sedation if you are anxious. Your dental implants in Herefordshire will last for at least 15 years, and more likely decades, if you take good care of them. The crowns, which are made of dental porcelain, may well wear out and need replacing, but the implants themselves can be with you for life. The crowns can’t get decay, but you need to watch out for gum disease. Keep your dental implant-retained teeth free from plaque with diligent twice-daily brushing for 2 minutes, flossing and regular deep cleans with the hygienist. That’s all there is to it. It takes 2-6 months to go through treatment. There is the preliminary consultation and then fitting. The healing stage, during which the implants integrate with your jawbone, is what takes the time. Only after this is complete can you move from soft food to eating what you like. 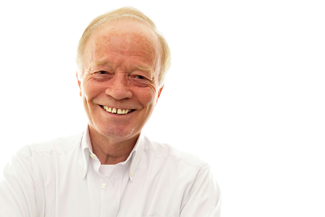 Why not book a consultation with us to find out how dental implants in Herefordshire can change your life? This entry was posted in Dental Implants on 15th January, 2019 by Warrendale Dental Care. It’s natural to feel self-conscious if there is something you feel is affecting the way that you look. It’s important for everyone to have a good self-image and this can be affected by physical, psychological and emotional factors. If you have missing teeth, it’s possible to have issues in one or all these areas. 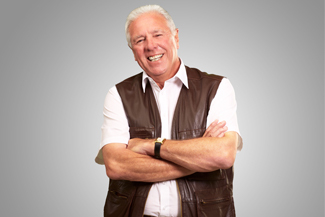 Fortunately, with Warrendale Dental in Herefordshire, dental implants are something that you can consider. These not only fix your teeth but have secondary benefits as well. 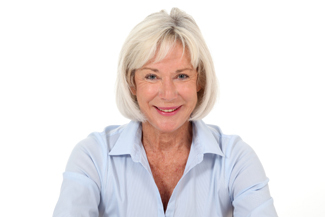 Below we go into more detail about some of the ways in which dental implants can help. The most fundamental reason for replacing teeth with dental implants in Herefordshire is restoring the physical appearance and functionality of your smile. Compared to other tooth replacement methods, dental implants offer a high degree of security and aesthetic appeal. When you visit Warrendale Dental, we can show you restorations where the teeth that have been replaced by dental implants are hard to spot unless you know where to look. People with missing teeth understand that there is a psychological impact. Whether that’s because you feel like you cannot make the food choices that you like or because you cannot smile without thinking about the gaps, dental implants can restore both abilities. If you feel like your smile says something negative about you, it’s a relief to realise that there is a solution that can help you to restore your faith in your teeth. For some people, facing of their dental issues and taking steps towards tooth restoration with dental implants in Warrendale is empowering. It gives you something to look forward to. 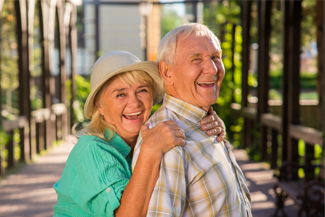 Dental implants in Herefordshire have a high success rate and so it’s not too optimistic to start looking forward to a full smile again from the very beginning of treatment. This is not an exhaustive list of the benefits of dental implants. In fact, we could write many more articles on the subject. However, one of the best ways to get tailored and extensive advice is to visit us for a consultation whenever you can. Our team are standing by to listen to your needs and create the right treatment plan for you. This entry was posted in Dental Implants on 23rd October, 2018 by Warrendale Dental Care. When is a tooth not a tooth? When it’s a dental implant! Joking aside, yes this is the truth about dental implants. In Herefordshire, as your local dentist, we fit dental implants to replace missing teeth and we’ve been doing it successfully at Warrendale Dental for the last 10 years. Dental implants are titanium screws that are surgically implanted into your jawbone under local anaesthetic. A crown or denture is then attached to the implant, creating a new tooth that is as strong and durable as your natural teeth, with the right ongoing dental health care. Titanium is an incredible implant material that is used in many types of surgery, from pins through to full replacement joints. This is because the body is fooled into believing it is a natural bone or in the case of dental implants, a tooth root. Your jawbone will grow around the screw anchoring it in place. Surprisingly even the soft tissue and nerves will grow around the screw, so that once your jawbone is healed after surgery and your crown or dentures fitted in place it will look, feel and act like your own tooth. 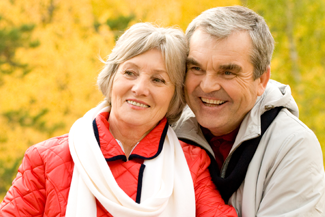 Dental implants in Herefordshire are a great alternative to other teeth replacement procedures. They have additional benefits to other procedures as they support the adjoining teeth and encourage healthy tissue and bone growth. They stabilise the whole tooth chain and prevent additional tooth loss. Dental implants can replace more than one tooth. 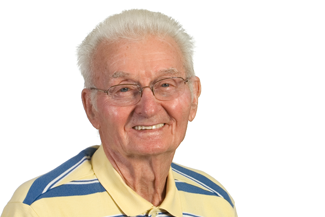 In fact, one implant can hold in place dentures that replace up to three teeth. As long as your jawbone is healthy you can have a number of implants and because we take great care to colour match your teeth, you really can have incredible replacements for even extensive tooth loss. You don’t have to remove your implants for cleaning either, all you need to do is brush and floss as part of your usual oral health routine and come see us for regular check-ups. As a treatment, dental implants offer a true replacement for natural teeth, solving your tooth loss problems for at least 15 years, more likely for decades. This entry was posted in Dental Implants on 16th October, 2018 by Warrendale Dental Care. What is it about dentures that make us automatically think of glasses of water by the bed? The truth is modern day dentures offer a great solution to missing teeth and our antiquated views of them need to shift. However, dentures do not support the jawbone and prolonged usage of dentures leads to jawbone shrinkage. Jawbone shrinkage occurs because of the removal of the tooth root that supports the bone. In Herefordshire, dental implants can prevent the bone deterioration and therefore prevent the pointy chin that goes hand in hand with our images of the glass on the bedside table. Behind the shallower concerns of our appearance however, dental implants provide incredible innovation that supports your jawbone’s long-term health, ensures your speech is unaffected and you don’t have to compromise on food or drink choices. The implant itself is a tiny titanium screw that is placed into your jawbone during a simple surgical procedure. Your body will not differentiate between your natural roots and the replacement screw. Your jawbone, soft tissue comprising the gums and the nerves will all grow back around the shaft. This creates a stable base for a crown or dentures to be firmly attached to your dental implant. In Herefordshire, we can assess your suitability for this procedure during consultation. The jawbone takes up to 6 months to heal around the implant. Once it’s fully healed we can then replace your missing tooth or teeth with a crown or denture. We will craft the replacement to be the same colour as your surrounding teeth, ensuring it looks as real as your natural teeth. It will then support the adjacent teeth, encouraging bone health and create stability throughout the dental chain. After this there is no reason why you will ever have to have it removed or replaced as long as you follow a good oral health routine. You do not have to remove the implant to clean it, simple brushing and flossing is adequate for the care of your dental implant. 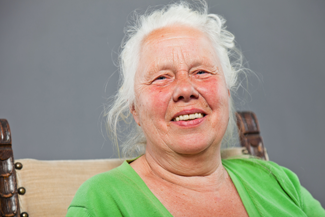 In Herefordshire we are happy to provide this great alternative to dentures. Call in and ask for a consultation so we can assess your suitability for this innovative procedure. This entry was posted in Dental Implants on 9th October, 2018 by Warrendale Dental Care.